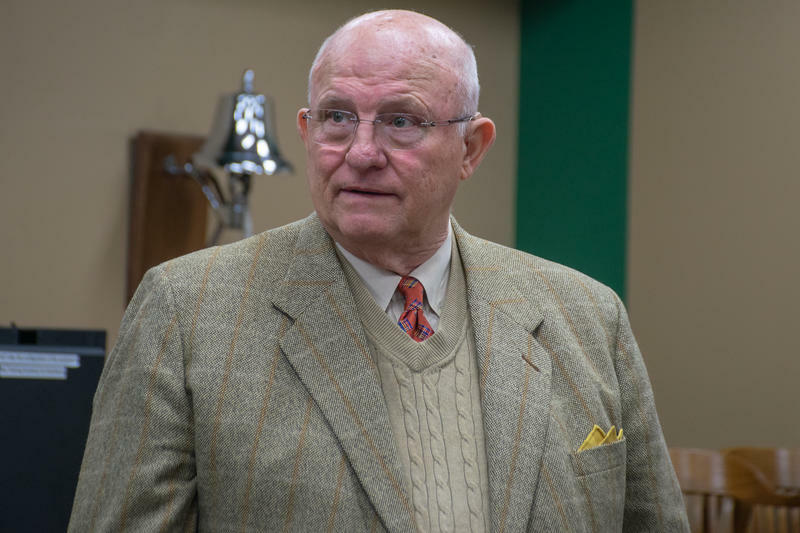 The state of Missouri has sued developer Paul McKee, shown here in March 2018, alleging misuse of tax credits. Attorney General Josh Hawley filed the suit in St. Louis on Wednesday, a day after city officials announced they wanted to end their development deal with McKee. The suit focuses on an incentive called the Distressed Area Land Assemblage tax credit, which the General Assembly established in 2007. The credit helped developers pay for the cost of buying land in economically distressed areas in order to be able to put together large projects. 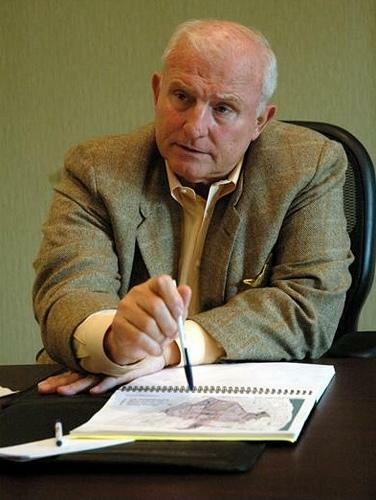 McKee eventually received $43 million in tax credits between 2008 and 2013. Hawley accuses McKee of getting about $4.5 million in tax credits without actually purchasing the properties. According to the lawsuit, McKee sought reimbursement for the costs of buying three properties in his redevelopment area — the Pierce-Elkay building at 1218 N. 15th Street, and two now-demolished buildings in the 2800 block of Madison Street. But even though the sales were never completed, the lawsuit said, McKee kept the credits. The state is seeking nearly $10 million in penalties. In its letter Tuesday to McKee seeking to unwind the deal, the city identified two other instances of potential fraud in addition to the Pierce-Elkay building — the now-demolished Buster Brown factory at 1516 North Jefferson Ave, and a property at 2830 Magazine St. The state had recovered about $1.9 million in credits from the Buster Brown sale. In a statement, NorthSide Regeneration officials called the city's efforts and Hawley's lawsuit disappointing, but said it was "telling" they came "on the heels of NSR's real progress for the citizens of north St. Louis" in the form of construction on the National Geospatial-Intelligence Agency headquarters, a grocery store, and a proposed urgent care center. "NSR understands that those who curry governmental favor would now like to capitalize on the opportunities created by NSR," the statement said. 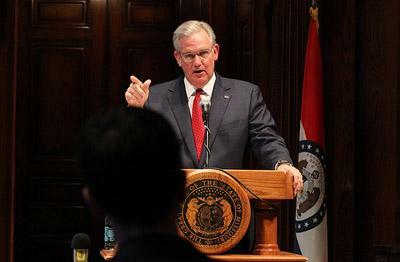 "But NSR is confident that Missouri's courts and citizens will not tolerate such inequity." NorthSide Regeneration denied any wrongdoing related to tax credits, and in a memo given to aldermen on Wednesday, accused the Department of Economic Development of improperly withholding tax credits from the company for other purchases, and said it met all of the requirements under state law. Hawley’s move came as aldermen were questioning the city over its deal with McKee at a previously scheduled meeting of the Neighborhood Development committee on Wednesday. The questioning turned very quickly to whether the city had properly vetted McKee in the first place. Alderwoman Cara Spencer, D-20th Ward, said she was grateful the city was starting to take a different approach to McKee. But she pointed out that in 2011, two banks sued McKee over unpaid loans. “I hardly consider this reputation to be sterling,” she said. Otis Williams, the executive director of the St. Louis Development Corporation, said he misspoke when he used that word to describe McKee. Spencer also asked why the city continued to do business with McKee when it became clear in 2014 that he had not paid his taxes and amassed more than $400,000 in fines and fees. The city will let developers with previous delinquencies work as long as they have paid those debts, Williams said. “Did Mr. McKee regularly make good on all of those fees and fines in order to move forward with this project?” Spencer asked. Williams replied: “At this point, the only thing that I am aware that he owes us are the current taxes that are due.” He did not answer when Spencer asked him about other fines and fees. Alderman Shane Cohn, D-25th Ward, brought up the Clemens House, a historic mansion at 1849 Cass Ave. McKee promised for years to rehab the building, but it fell further and further into disrepair before burning to the ground in 2017. The cause of the fire was never determined. Williams did not directly answer Cohn’s question, other than to outline how the city had tested for asbestos and other contaminants in the debris of the fire to make sure the site wasn’t a hazard. Alderwoman Tammika Hubbard’s 5th Ward makes up the largest chunk of McKee’s redevelopment footprint. 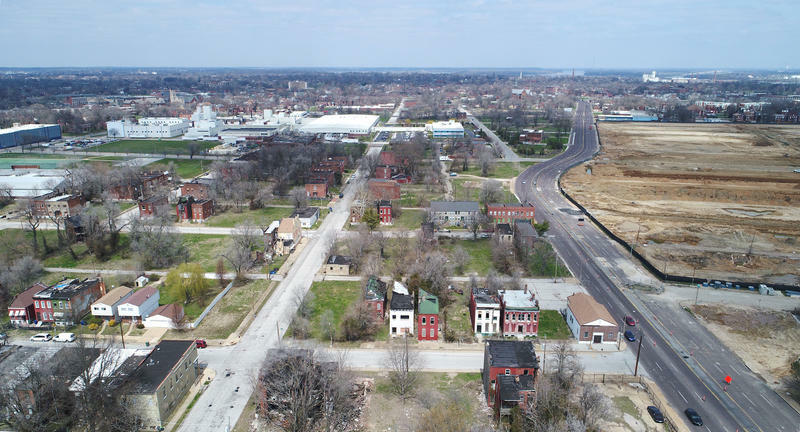 She said while she had become so frustrated at the lack of progress that she stopped taking McKee’s calls unless he was scheduling a ribbon cutting or breaking ground, she questioned whether the city ending the deal would help north St. Louis. Longtime St. Louis Place resident Larry Chapman said the city’s action was long overdue. “This partnership that they say began only recently, actually goes back 15 years and over that period of time Paul McKee clearly demonstrated that he was not able to perform and was in default of his agreement,” he said. McKee had promised $8 billion in residential, commercial and retail development. The only project that’s started so far is a grocery store and gas station. Sheila Rendon outside her home in the St. Louis Place neighborhood in 2016. The home at 2314 Mullanphy St. was later torn down to make way for the National Geospatial-Intelligence Agency, but Rendon still lives in the neighborhood, which is in McKee's footprint. Sheila Rendon has lived in the footprint controlled by McKee for almost her entire life. After sitting through the two-hour meeting, she said residents knew from the start that the developer was no more than a “profiteer,” but found no relief in the city finally taking action. Abigail Censky and Ryan Delaney contributed to this story.